Slowly making my way through the iOS UI guidelines. It’s really interesting to read what iOS is truly capable with it’s basic template tools for common bars and touch interface buttons. This concept came to me while reading how the timer functions run. What if as a parent you concerned with the amount of television your young child is consuming. 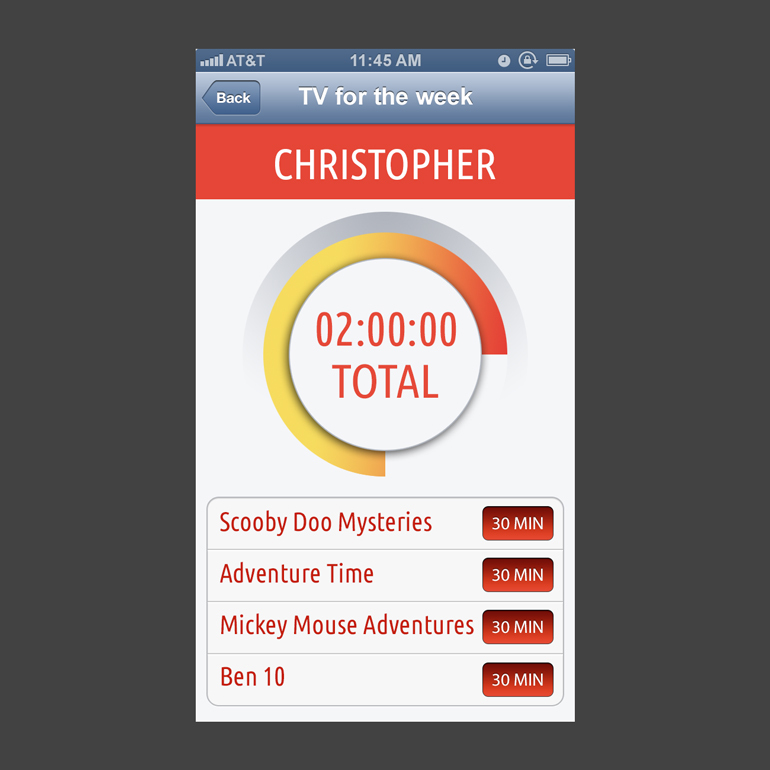 This app TV Timer just keeps a log of the persons television viewing time. Depending on the settings I can’t see why it can’t be used to keep a timer on the persons use of the computer or tablet time as well.